This battery operated kitchen tool is just the thing to make the most of your greens. 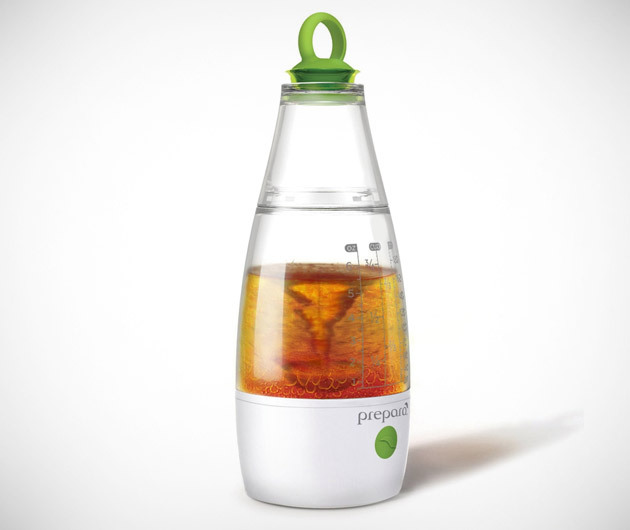 The Prepara Dressing Whiz makes light work of creating and serving your salad dressing, a simple push of a button powers the aerating propeller which perfectly blends the contents. There are markings to ensure your measurements are spot on, an airtight cap to keep it fresh and a mess-free non-drip pour spout to stop the girlfriend moaning.